Below are our training videos that are available to the University through our office. Each of these are institutional copies and are available for checkout by faculty and staff for university use. For more information, or to schedule a diversity training, please contact the Office of Institutional Diversity and Inclusion at 618-650-5382. Staying silent in the face of demeaning comments, stereotypes or biases allows these attitudes and behaviors to thrive. This undermines our ability to create an inclusive workplace where all employees are welcomed, treated with respect and able to do their best work. Yet, most employees and leaders who want to speak up don't know how. So we say nothing. Ouch! That Stereotype Hurts enhances skills for speaking up against stereotypes without blame or guilt, identifies the most common reasons people sit silent in the face of bias and stereotypes, and helps you to understand the impact of stereotypes and biased statements even when casually said. Gateways to Inclusion: Turning Tense Moments into Productive Conversations teaches four skills for turning tense moments into productive conversations: managing emotions, setting productive goals, assessing intent cautiously and communicating in a way that demonstrates respect. Is it Bias? Making Diversity Work is a DVD-based course to define, recognize and reduce bias in the workplace. Bias costs organizations billions in lost productivity, high turnover and low morale, not to mention the risk of expensive litigation. The course will show participants how to identify subtle biases in themselves and others and how to defeat them. The recent national outrage and controversy surrounding the rally in Charlottesville and continued protests of controversial speakers on campuses has been unprecedented. Today, more than ever, campuses are experiencing tremendous upheaval, a rise in student activism and institutions living in a world of uncertainty. Higher education administrators must serve their diverse populations however, many feel ill equipped to recognize campus dynamics, solicit student experiences, and implement strategies to lessen the racial divide and foster an inclusive culture that addresses microaggressions from the bottom up. Those doing the work find themselves caught in a world where the idea of safe spaces is highly scrutinized; microaggressions and exclusionary behaviors, policies, and structures go unaddressed; and ongoing debates of political correctness stifle progress and spreads confusion and frustration. Join our expert presenter for insight and best practices to assess and improve your campus climate. This webinar will give you practical steps and solutions and ensure you understand “what is right” and how to create an opportunity to move beyond civility towards a truly inclusive institution. Strides have been made in understanding concerns relevant to lesbian, gay and bisexual college students. However, it could be argued that higher education is just beginning to grasp the needs of a growing transgender and other gender-nonconforming student population on today’s campuses. 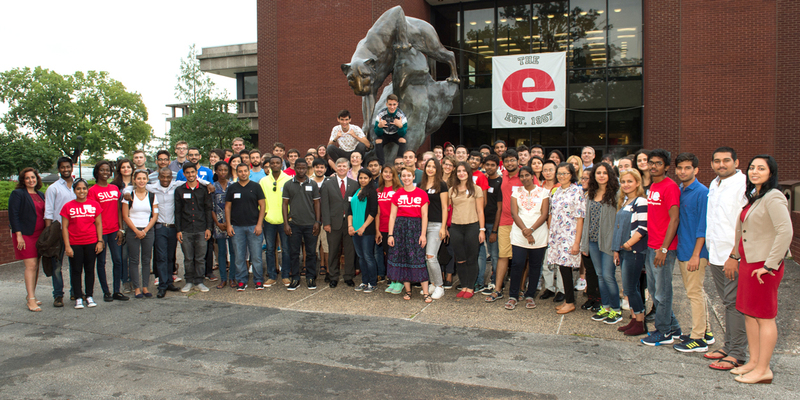 SIUE has an opportunity and responsibility to put practices in place that serve, protect and ultimately retain all students, and this special population is no exception. Join our expert presenters, Shane Windmeyer, Executive Director and Co-Founder of Campus Pride and author Genny Beemyn as they review specific strategies and best practices for making our campus community an environment that actively supports this unique population. Gain an understanding of the current demographics and diverse experiences of the transgender and other gender nonconforming student population. Learn how transgender and other gender nonconforming college students have faced discrimination in campus housing, facilities, health services, student activities, athletics, and admissions. Identify ways to address this discrimination and hear about best practices for meeting the needs of transgender and other gender nonconforming students on our campus. Receive valuable resources and information about new research on the experiences and needs of transgender and other gender nonconforming college students that can be used within our campus community.